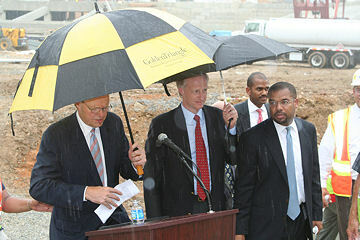 A ceremony to mark the placement of the final structural steel of the stadium. 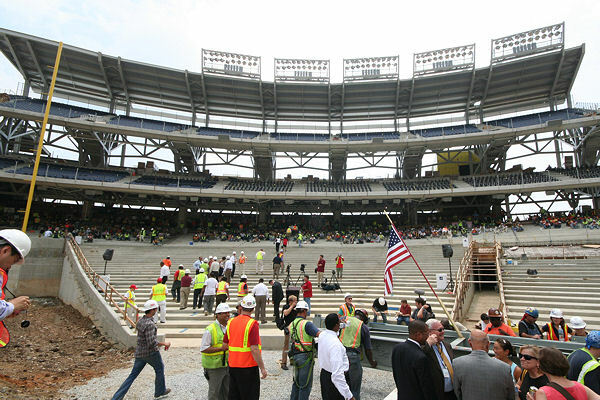 The state of the Nats ballpark on July 11, 2007, as seen from the right field foul line. Before the rain. 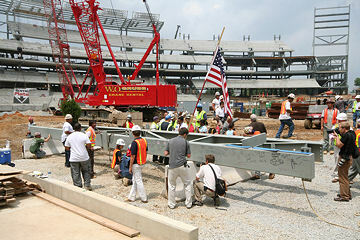 Workers sign the final beam. 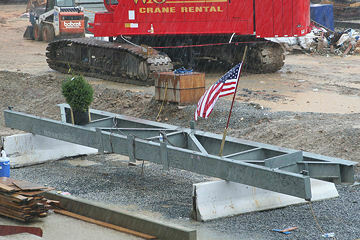 The right field foul pole is now placed, and the steel for the scoreboard continues to go in. 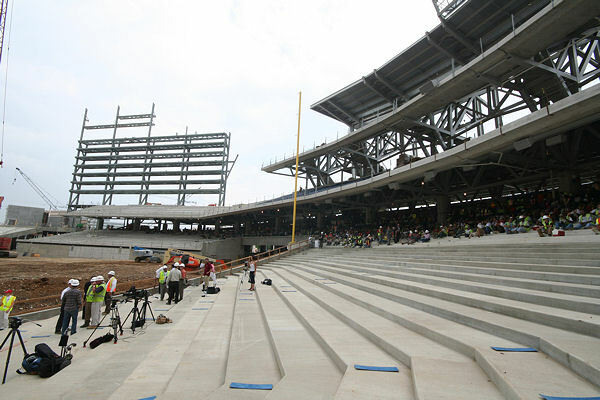 A wide-angle view of the right-field stands, with the construction workers wisely eating their Red Hot and Blue barbecue out of the sun (and soon enough, out of the rain). 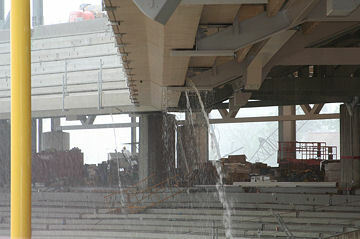 The blue seats are being installed at a rate of 1,800 per week. The threatening sky above the west parking garage and left field, moments before the rain came. 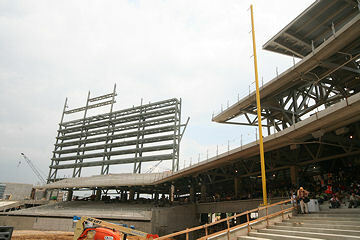 Another view of the stands, the workers, the foul pole, and the scoreboard steel. 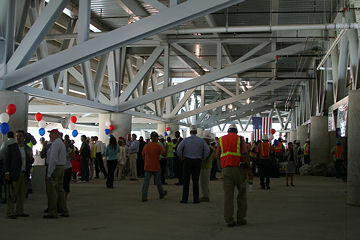 Milling about on the concourse level before the start of the ceremony. 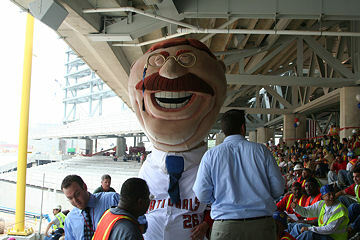 Teddy puts in an appearance. 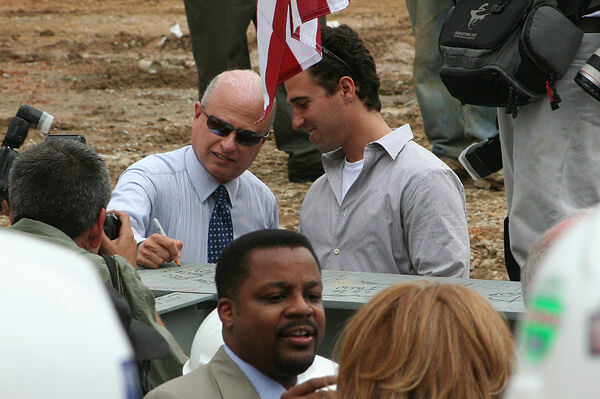 Team owner Mark Lerner signs the final beam; council member Kwame Brown is in the forefront. 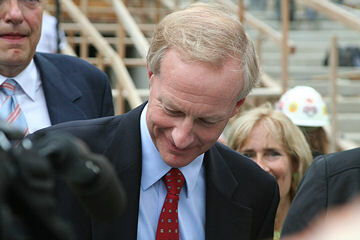 Council member Jack Evans, while signing the beam. 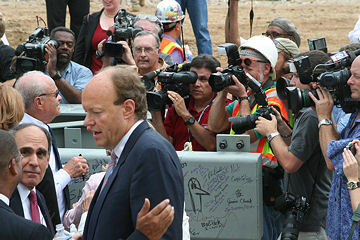 The media records team owner Ted Lerner (far left) signing the beam. "Uh, guys? Got a place for this yet? Guys?" 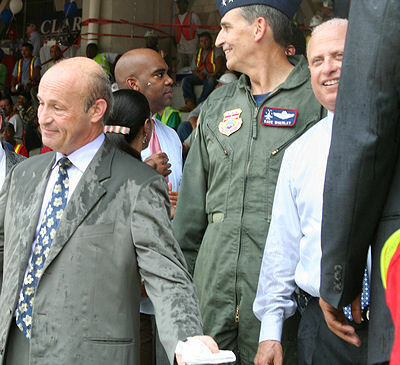 When you've been around baseball as long as Stan Kasten, you take rain delays in stride. Mark Lerner doesn't look particularly upset, either. The crush under the stands as people scrambled to get the ceremony re-started. 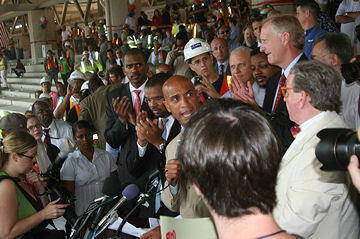 Mayor Fenty speaks to the assembled distinguished guests. 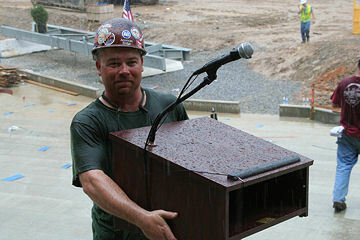 The focal point of the event, getting wet. 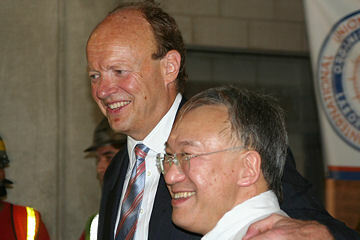 Bill Hall and Allen Lew are happy. 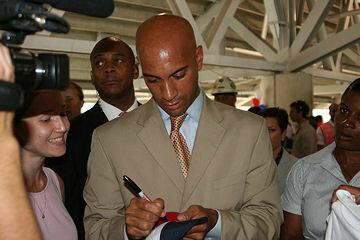 Mayor Fenty working the crowd. 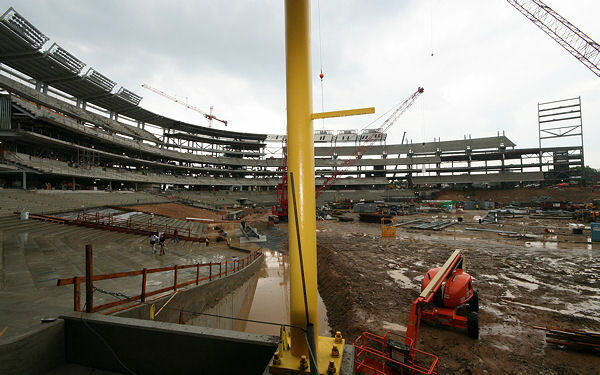 Looking toward home plate from behind the right field foul pole. If you want an idea of exactly how much it rained, look at the brown lake along the wall. 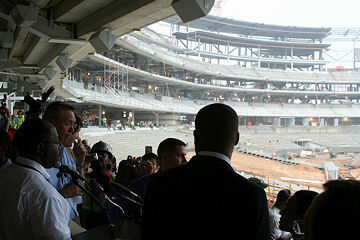 ... And then turning to look at center field, left field, and the scoreboard .